I am glad that you’ve come to my shop and want to find your perfect cover. I’ll just be happy if I can help you with this! – Ultra high-quality printing, precision-cut, full detail. -Laptop skins are made of high quality matte vinyl and are NOT hard shell cases. -The skin will protect your laptop from scratches but if you scratch the skin it can remove some of the vinyl – so be loving towards your decal. Please DO NOT apply with credit card or sharp object. 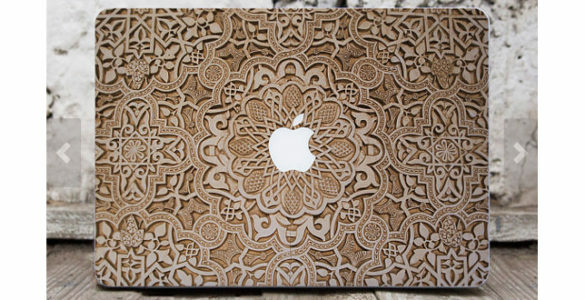 -You can order a skin/decal for the bottom of your laptop and for the front/top. Just choose it in the options. – Each laptop skin comes in varying sizes: 11” MacBook Air, 12″ MacBook Pro 2015, 13” MacBook Air, 13” MacBook Pro and 13” MacBook Pro Retina, please select your laptop from the menu. It can take about 5-7 business days to prepare perfect item for shipping and the shipping time can take about from 2 to 4 weeks. I’ll carefully pack all items and ship them with registered Air Mail from Ukraine, Europe. Please allow 2-4 weeks before contacting me to allow the postal services and international customs complete their duties. If you are worried about a late delivery, please contact me and I’ll try to do my best to help you. Please note, I am trying to reproduce exactly the same color, but sometimes the color may vary slightly due to different monitor settings. Read description and policies page before purchasing. Before sticking the printed decal, try to stick the white version. That will help you to avoid failures. If you have any questions, please contact me and I always be glad to answer you!